It is probably never too early to think about childhood obesity, but in a younger infant or toddler, you should concentrate more on what she is eating and drinking and not so much on what her weight is. And remember that many bigger infants and younger toddlers 'thin out' as they begin to walk and run around and become more active. And if you look at the growth charts, you can see that most infants who are following a growth curve actually double their birth weight closer to five or six months. If they gained weight much more than that, it would be a good idea to review your infant's feeding patterns with your pediatrician to make sure that you weren't overfeeding her. But with a normal diet and a healthy infant, gaining weight a little more quickly than average is probably normal for a younger infant. You would probably do more harm than good by putting a baby on a 'diet' and trying to limit their intake of breastmilk or formula at this age. 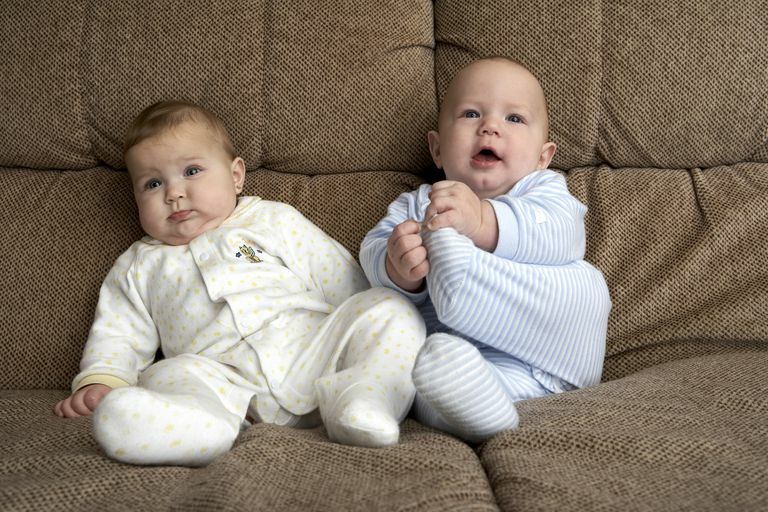 Still, if a baby doubled her birth weight at three or four months because you were already feeding them a lot of cereal, giving them more than 32 to 40 ounces of formula, or already giving juice, then that might not be healthy and you might need to discuss more healthy eating habits with your doctor.